I made these for this for a guy I like…. I started them before Christmas and just finished..it is the middle of January. While making these sweet items I taught myself a new knitting technique called continental. It has rocked my world. 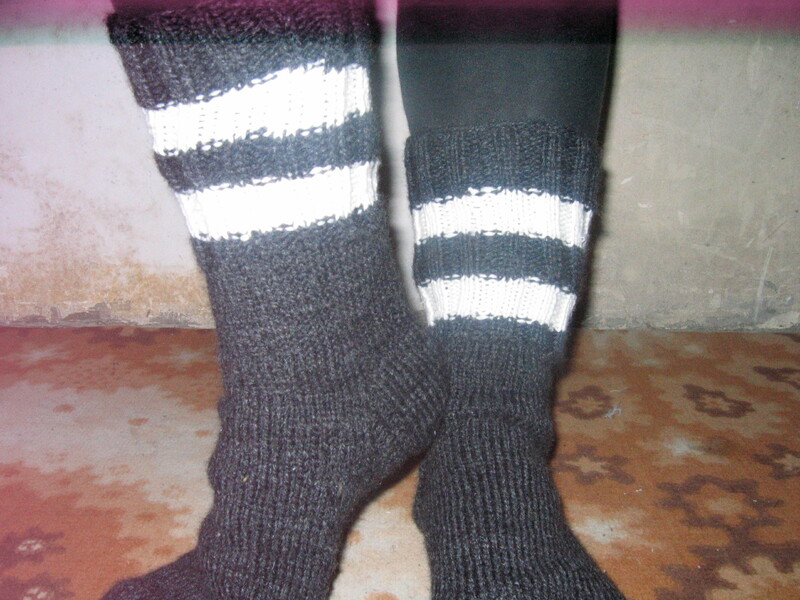 To make these socks was real easy. I followed a youtube video for the most part that took me on a step by step journey that I could pause, stop, play, and re-play. Perfect for just learning.